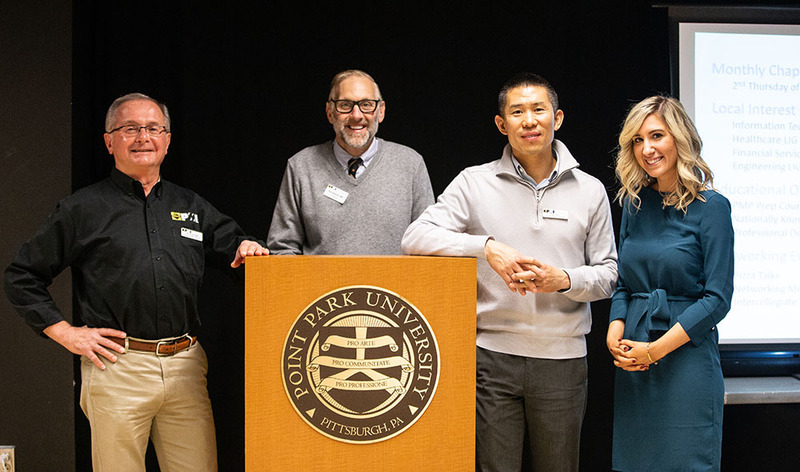 Members of the Pittsburgh Chapter of the Project Management Institute recently visited campus to discuss scholarship, networking, mentoring and other opportunities they can provide to students. Angela Isaac, Ph.D., professor of economics and finance in the Rowland School of Business, arranged the presentation, which included a keynote speech by Sam Provil, project management trainer and president of Provil & Associates. According to Isaac, additional student events with PMI will be held at Point Park throughout the academic year. “I decided to attend this event due to my desire to obtain my Project Management Professional certification. 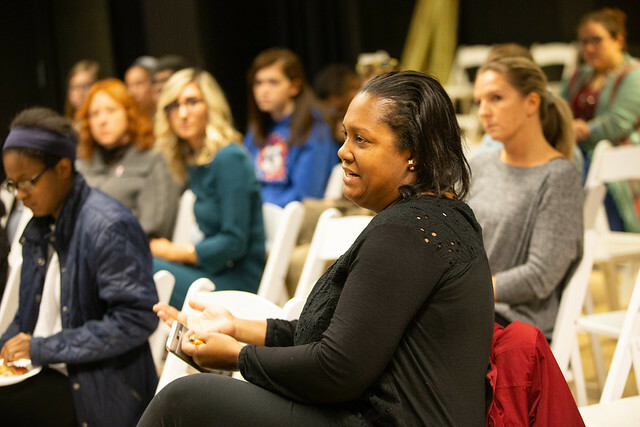 I was exploring affordable options to accomplish this and was very pleased to find that this session was being offered,” explained Antoinette Shaw, a junior double majoring in human resource management and information technology. “There are many opportunities for students and available support through the collegiate engagement efforts of PMI Pittsburgh,” added Shaw, a nontraditional student and graduate of Pittsburgh Schenley High School. Brown’s career goals are to be a business entrepreneur and startup business investor. “At the event, I learned that PMI has a lot of scholarship opportunities for students at various levels,” said Yasha Breslove, a senior interdisciplinary design major from City Charter High School in Pittsburgh.